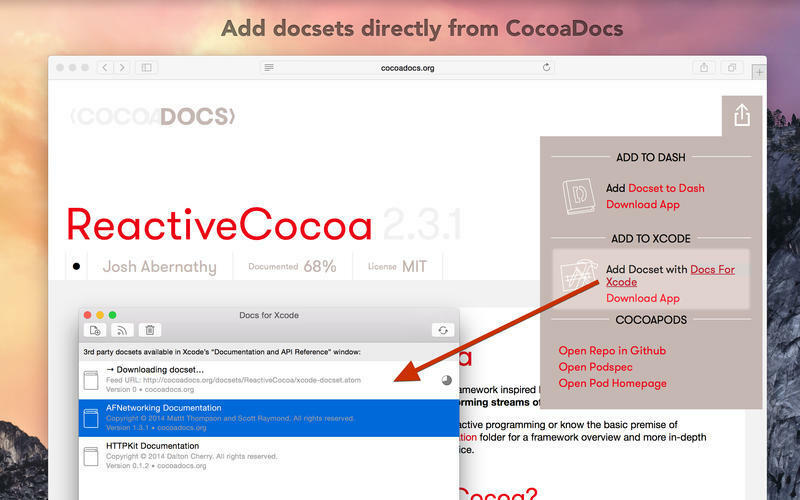 Is there a better alternative to Docs for Xcode? Is Docs for Xcode really the best app in Developer Tools category? 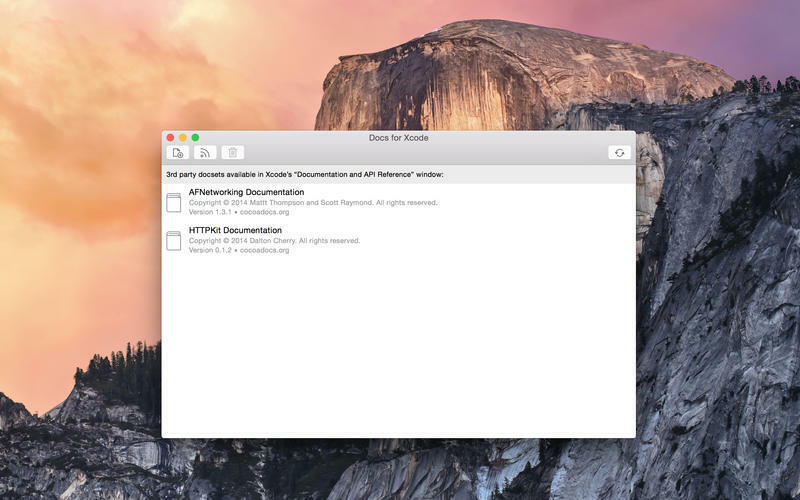 Will Docs for Xcode work good on macOS 10.13.4? 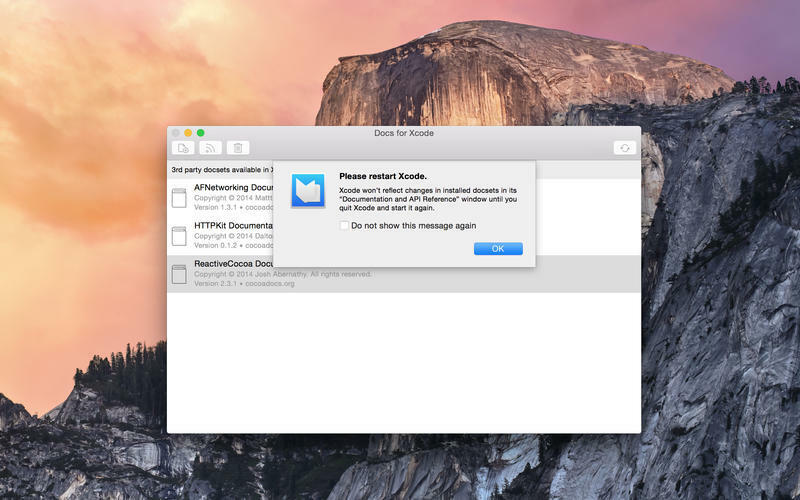 Docs for Xcode will install additional docsets into Xcode and keep them up to date. Starting with version 5, Xcode no longer supports 3rd party docsets. It can display them, but you cannot add new docsets from within Xcode and it won’t update them. You have to do it manually - unless you use Docs for Xcode. It installs docsets, subscribes to feeds and keeps the documentation always up to date. Docs for Xcode works with all versions of Xcode from 4 up and is always tested with the latest available version (8 for the current version). Note that Xcode 8’s documentation browser has a separate tab for docsets. Docs for Xcode needs a review. Be the first to review this app and get the discussion started! Docs for Xcode needs a rating. Be the first to rate this app and get the discussion started!